1:1 From Paul, 1 an apostle of Christ Jesus by the will of God, to further the promise 2 of life in Christ Jesus, 1:2 to Timothy, my dear child. Grace, mercy, and peace from God the Father and Christ Jesus our Lord! 1:3 I am thankful to God, whom I have served with a clear conscience as my ancestors did, 3 when I remember you in my prayers as I do constantly night and day. 4 1:4 As I remember your tears, I long to see you, 5 so that I may be filled with joy. 1:5 I recall 6 your sincere faith 7 that was alive first in your grandmother Lois and in your mother Eunice, and I am sure 8 is in you. 1:6 Because of this I remind you to rekindle God’s gift that you possess 9 through the laying on of my hands. 1:7 For God did not give us a Spirit 10 of fear but of power and love and self-control. 1:8 So do not be ashamed of the testimony about our Lord 11 or of me, a prisoner for his sake, but by 12 God’s power accept your share of suffering 13 for the gospel. 1:9 He is the one who saved us 14 and called us with a holy calling, not based on 15 our works but on his own purpose and grace, granted to us in Christ Jesus before time began, 16 1:10 but now made visible through the appearing of our Savior Christ Jesus. He 17 has broken the power of death and brought life and immortality to light through the gospel! 1:11 For this gospel 18 I was appointed a preacher and apostle and teacher. 19 1:12 Because of this, in fact, I suffer as I do. 20 But I am not ashamed, because I know the one in whom my faith is set 21 and I am convinced that he is able to protect what has been entrusted to me 22 until that day. 23 1:13 Hold to the standard 24 of sound words that you heard from me and do so with the faith and love that are in Christ Jesus. 25 1:14 Protect that good thing 26 entrusted to you, through the Holy Spirit who lives within us. 5 tn Grk “longing to see you, remembering your tears” (as a continuation of the preceding clause). Because of the length and complexity of the Greek sentence, a new sentence was started here in the translation. 6 tn Grk “recalling” (as a continuation of the preceding clause). Because of the length and complexity of the Greek sentence, a new sentence was started here in the translation. 10 tn Or “a spirit,” denoting the human personality under the Spirit’s influence as in 1 Cor 4:21; Gal 6:1; 1 Pet 3:4. But the reference to the Holy Spirit at the end of this section (1:14) makes it likely that it begins this way also, so that the Holy Spirit is the referent. 14 tn More literally, “who saved us,” as a description of God in v. 8. Because of the length and complexity of the Greek sentence, a new sentence was started here in the translation. 17 tn Grk “having broken…and having brought…” (describing Christ). Because of the length and complexity of the Greek sentence, a new sentence was started here (and at the beginning of v. 11) in the translation. 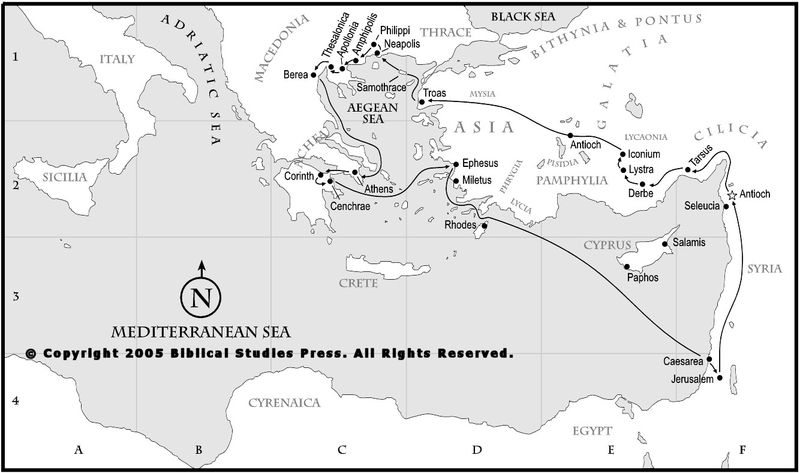 19 tc Most mss (א2 C D F G Ψ 1739 1881 Ï latt sy co) have ἐθνῶν (eqnwn, “of the Gentiles”) after “teacher.” The shorter reading has poorer external credentials (א* A I 1175 pc), but is preferred because ἐθνῶν probably represents a gloss added by copyists familiar with 1 Tim 2:7. There is no easy explanation for the omission of the word if it were original here. 22 sn What has been entrusted to me (Grk “my entrustment,” meaning either (1) “what I have entrusted to him” [his life, destiny, etc.] or (2) “what he has entrusted to me” [the truth of the gospel]). The parallel with v. 14 and use of similar words in the pastorals (1 Tim 6:20; 2 Tim 2:2) argue for the latter sense. 23 sn That day is a reference to the day when Paul would stand before Christ to give account for his service (cf. 2 Tim 1:18; 1 Cor 3:13; 2 Cor 5:9-10). sn With the faith and love that are in Christ Jesus. This describes the manner in which Timothy must hold to the standard (similar to Paul’s call for him to give attention to his life and his teaching in 1 Tim 4:11-16). 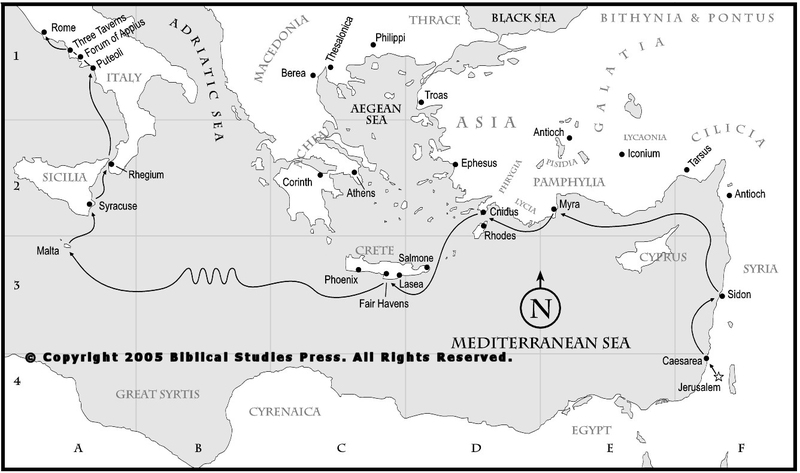 26 sn That good thing (Grk “the good deposit”) refers to the truth of the gospel committed to Timothy (cf. 1 Tim 6:20). 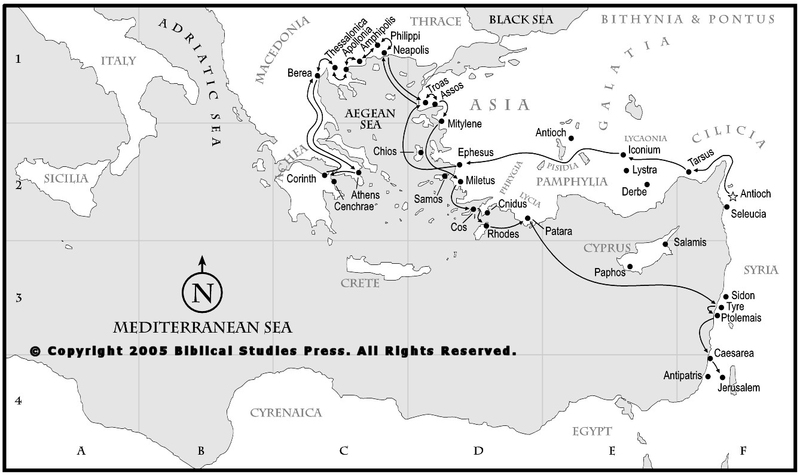 27 tn Grk “Asia”; in the NT this always refers to the Roman province of Asia, made up of about one-third of the west and southwest end of modern Asia Minor. 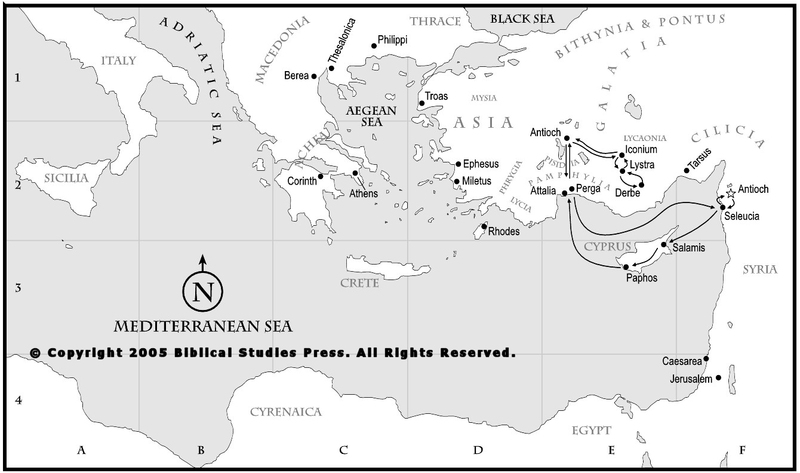 Asia lay to the west of the region of Phrygia and Galatia. The words “the province of” are supplied to indicate to the modern reader that this does not refer to the continent of Asia. 29 map For location see JP4 A1. 30 sn That day is a reference to the day when Onesiphorus (v. 16) stands before Christ to give account for his service (cf. v. 12; 1 Cor 3:13; 2 Cor 5:9-10).